This Dancing Rook Prototype automatic knife was hand-made by Kyle and Jamie Vallotton. 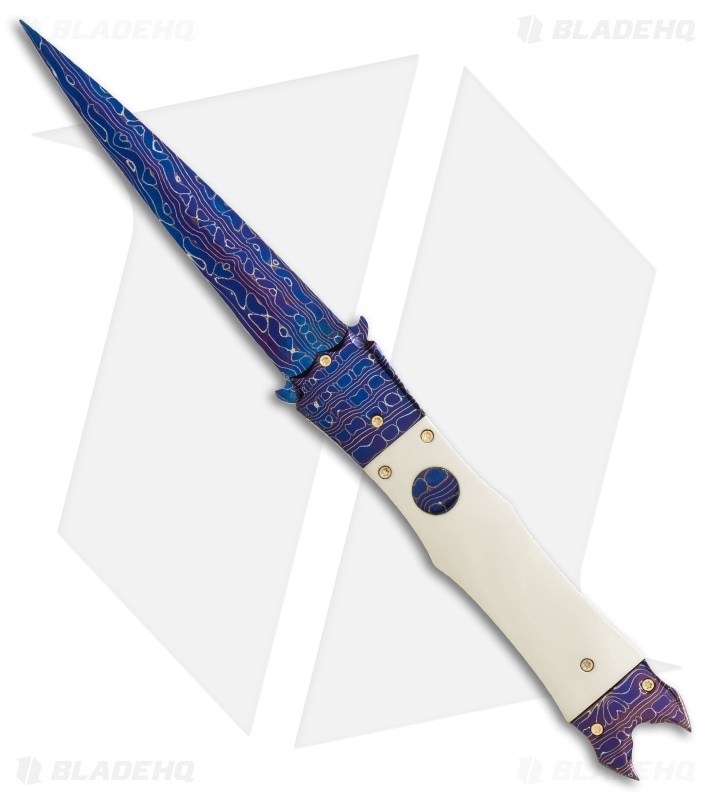 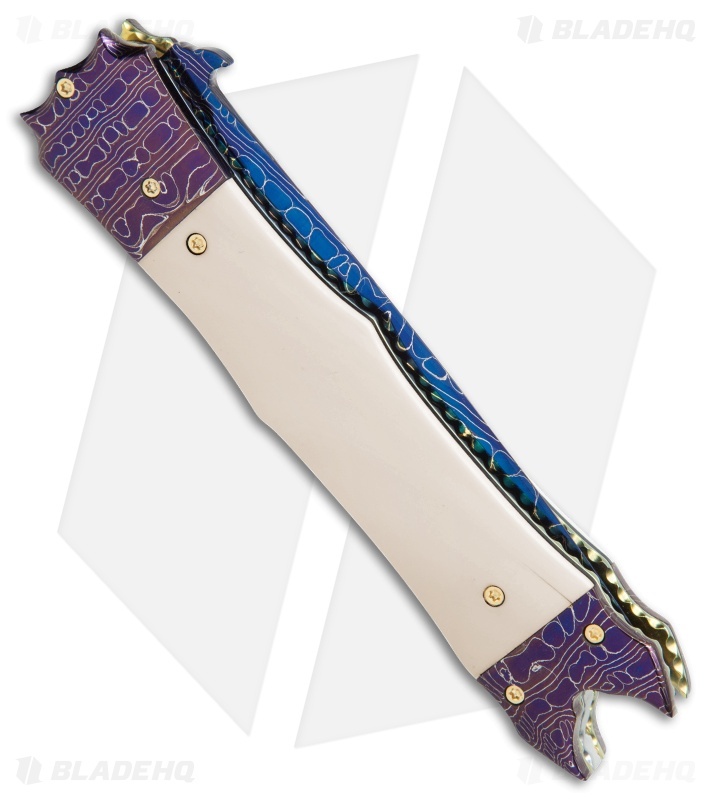 It features a symmetrical design with ivory handle scales and Chad Nichols "Iguana" Damascus bolsters. The dagger style blade is also made from Chad Nichols "Iguana" Damascus steel to match the bolsters. 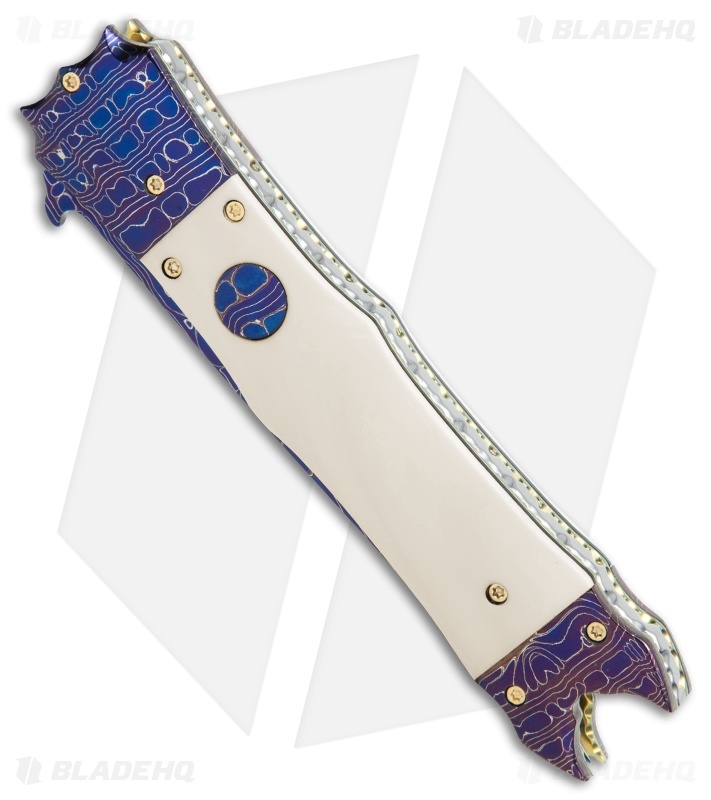 Filed, gold anodized liners and a stainless steel backspacer add a nice finishing touch to this superb collectible knife. 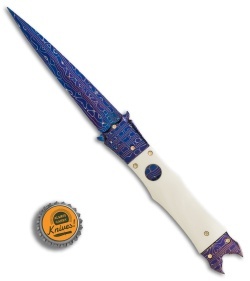 Includes a signed certificate of authenticity.